Curb appeal is of the utmost importance when it comes to keeping your Spanish Springs rental house engaged and financially successful. Renters want a house that is in good shape and is pleasing to the eye. A well loved home in which they can feel at ease in and value highly. A clean and maintained property is the key to a successful rental experience and that is why following a window cleaning schedule is such a critical part of any property management plan. 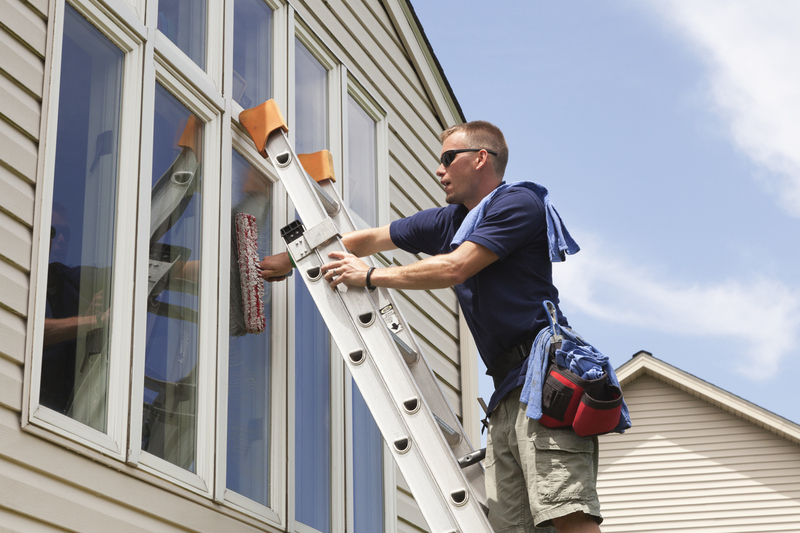 Clean windows give numerous advantages for homeowners and residents alike. The most visible benefit is designing a magnificent first impression of the property. First impressions can make a real difference when it comes to attracting quality renters. Potential tenants may associate dirty windows with a homeowner who skimps on property maintenance. Consequently, this influences potential tenants’ decision to rent because minor smudges and dirt are not a pleasant aspect of an ideal home. Regular window cleaning extends the life of the windows themselves. Like all of the other components of a property, windows must be soaped and washed on a frequent basis. Acid rain, hard water, and oxidation are all factors that damage window panes. Regular cleaning can help keep environmental contaminants at bay and your windows sparkling for years to come. Industry experts recommend cleaning residential windows once or twice a year. But assuming your tenants can fulfill this responsibility for you is not a smart idea. Tenants just might use inappropriate cleaning tools and materials and in doing so, destroy the windows. Or your tenants may end up harmed as they try and wash 2nd story windows. Falls involving ladders are one of the leading causes of serious household injuries. This guide to ladder safety from the United States Occupational Safety and Health Administration (OSHA) outlines over a dozen safety guidelines for ladder use, many of which your tenant may not know or follow. The liability of tenants escalates because they are using ladders to perform property maintenance tasks. This is never a smart management practice. To keep your residence maintained and your tenants safe, you need to hire real professionals. At Real Property Management Corazon, we monitor the condition of your entire property, including windows, and schedule cleaning and maintenance as needed. Please contact us today by phone at 775-826-1414 or online to discover more about our Spanish Springs property management services.